ЕА has released Dead Space 3: Awakened DLC! 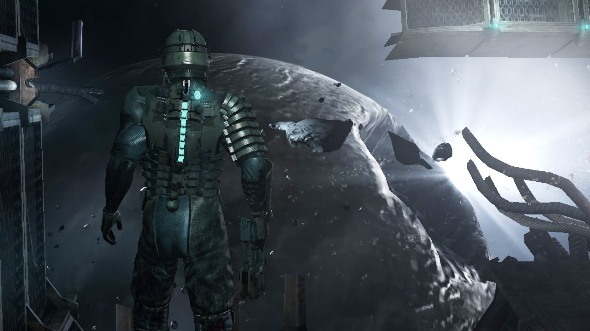 "In order to grow and evolve, we need to sell 5 million copies of the game, and the data obtained during the first few weeks showed a sharp decline in demand in comparison with the results of Dead Space 2"
After a couple days the Electronic Arts representatives from the American office commented on the situation, explaining that this is just a rumor, and players should expect some news about the series Dead Space soon. And today the first Dead Space 3: Awakened DLC have been released. It will sow more fear and horror in the Isaac Clarke world. A small storyline for up to 3 gameplay hours, as well as new weapons, monsters and riddles will become the basis of the Awakened DLC ... "The terror never ends!" You can download Dead Space 3: Awakened DLC free at this link, or simply just buy for only $ 10 or 800 Microsoft Points. Details of the plot you can find in the trailer below.